Soldering is both science and art. It's also one of the most important skills needed when modifying and repairing electric guitars, effects pedals, and cables. When learning to solder, there's a lot to know before you pick up a soldering iron. This tutorial covers the science, tools and techniques that will help do-it-yourself guitarists improve their soldering skills. Learning to solder can be a bit daunting at first. But with a few helpful tips and a lot of practice, you'll soon master this skill. Soldering is essentially melting a low temperature metal alloy to join other metal parts together. The primary goal is to get the solder to flow onto the parts being joined, a process called wetting. 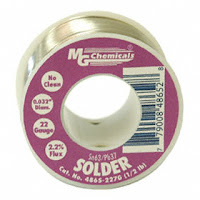 Traditionally, solder is an alloy of tin (Sn) and lead (Pb). In 2006, the European Union outlawed leaded solder with the RoHS Directive , forcing electronics manufacturers to use lead-free solder. Leaded solder is still readily available and safe for occasional repairs and mods. The most common leaded solder mix for electronics is 60% Sn (tin) and 40% Pb (lead), which melts between 361–374°F (183–190°C). However, the best alloy for soldering is 63% Sn and 37% Pb, which is a eutectic solder that melts at a single temperature point of 361°F (183°C) and is by far the easiest to use. Lead-free solder comes in a variety of alloys that generally have higher melting points than leaded solder. One popular alloy is 96.5% tin (Sn), 3.0% silver (Ag) and 0.5% copper (Cu) with a melting range of 422-428°F (217-220°C). A similar alloy with 95.5% tin (Sn), 4% silver (Ag), 0.5% copper (Cu) has eutectic properties with a single melting point of 422°F (217°C). The final two solder characteristics are size and flux. Size is the diameter of the solder wire and is usually measured in either thousandths of an inch or American Wire Gauge (AWG). A good size for soldering guitar/pedal wiring is .032" (22 AWG). Flux is a chemical that promotes the wetting process during soldering by removing oxidation from the metal surfaces. 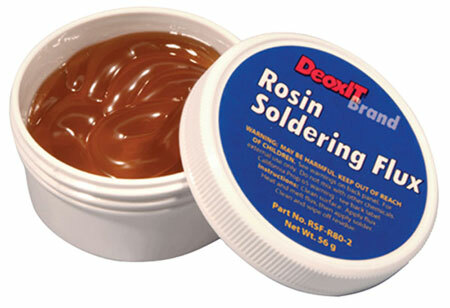 The type of flux used for electronics soldering is rosin flux. Most electronic solder contains rosin flux in its core, which is adequate for most soldering. 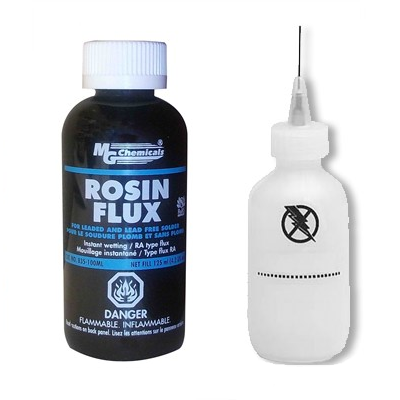 If you use solder without a flux core or want to supplement flux-core solder, you can get rosin flux in paste and liquid form. Liquid flux sometimes comes with an applicator brush, but a needle-tipped squeeze bottle works best to get the flux where you want it. The primary tool you'll need for soldering is, well, a soldering iron. 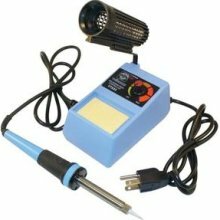 The best type I've found for guitar repairs and mods is a low power (30-50 watt) stand-alone soldering iron (right) or soldering station (pictured above) with a conical tip. Soldering stations typically have a variable temperature control and built-in holder. Soldering Iron Stand — A stand to hold your soldering iron is a must. You should always keep the soldering iron in the holder when you are not soldering with it. Soldering stations and some soldering irons come with a stand. 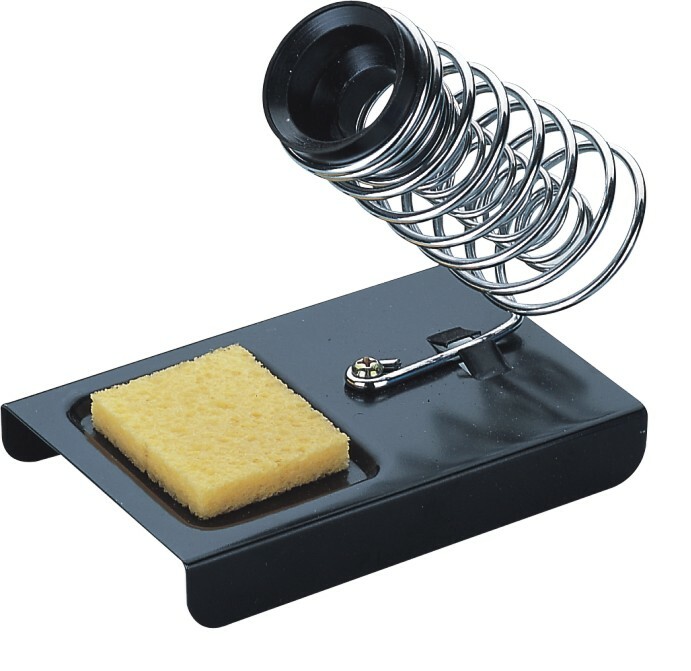 You can also get a separate soldering iron stand. 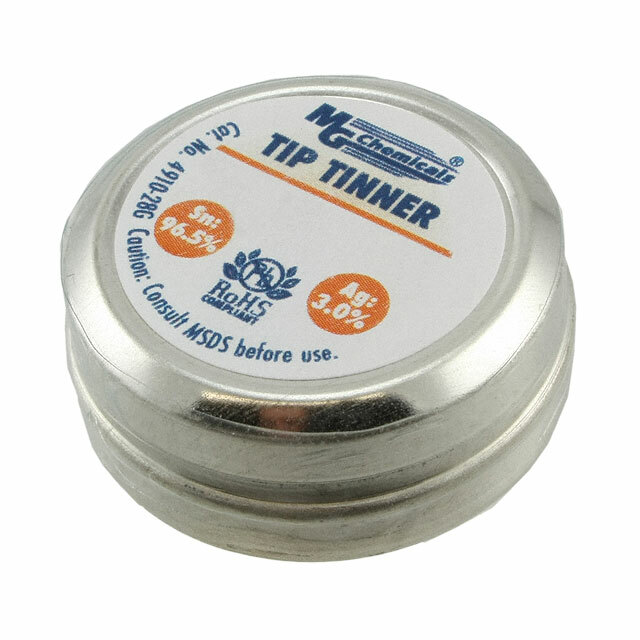 Tip Cleaner — Keeping the soldering iron tip clean and tinned while soldering is extremely important. 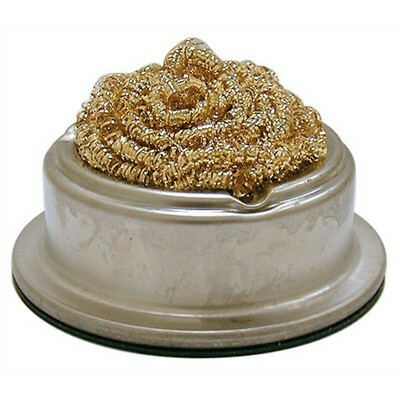 The most common type of tip cleaners are a damp sponge or a coiled brass cleaner. 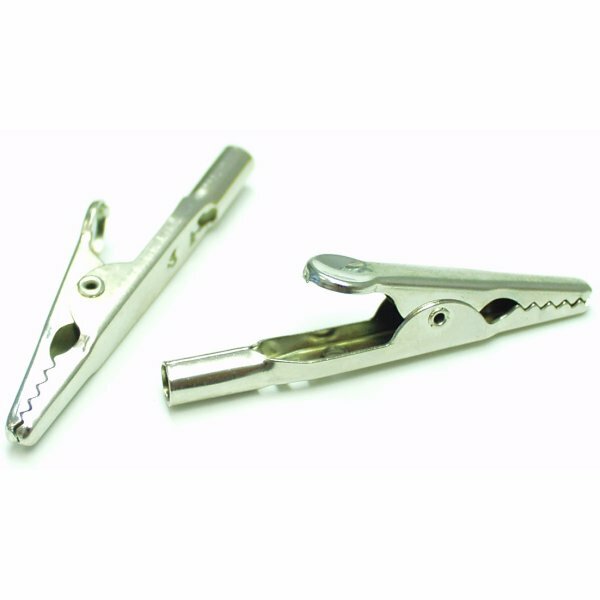 Vise & Clips — A small vise or a "helping hands" can be used to hold the parts while you're soldering. 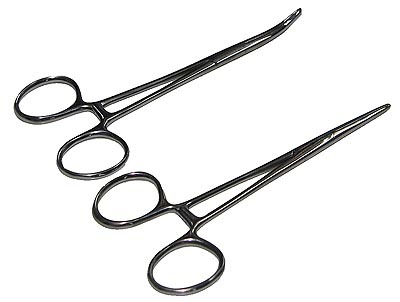 Use alligator clips and hemostats to clamp wires and parts together while soldering. You can also use the clips as heat sinks to protect components from heat damage. Desoldering Tools — Solder wick is cooper braiding used to remove solder (more on this later). You can also use a solder vacuum (solder sucker) to remove solder. 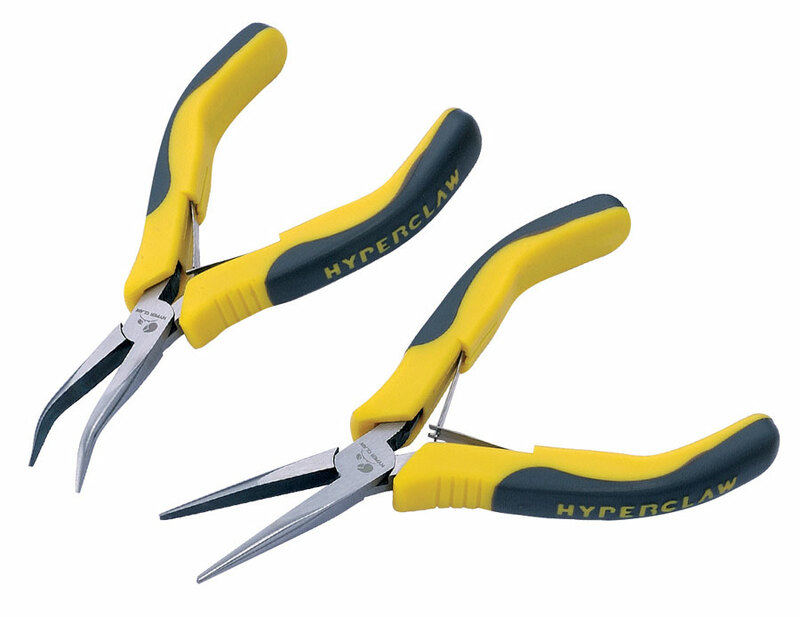 Hand Tools — Wire cutters, strippers, and pliers are a must for cutting, stripping and holding wires and components. 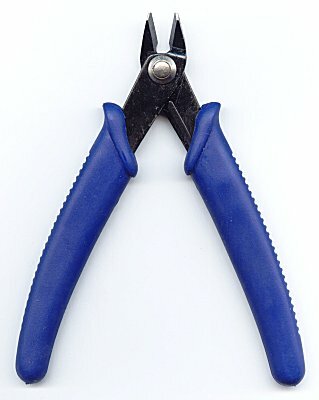 My favorite hand tools are a small flush cutter, small long-nose pliers, and a good quality 20-30 gauge wire stripper. 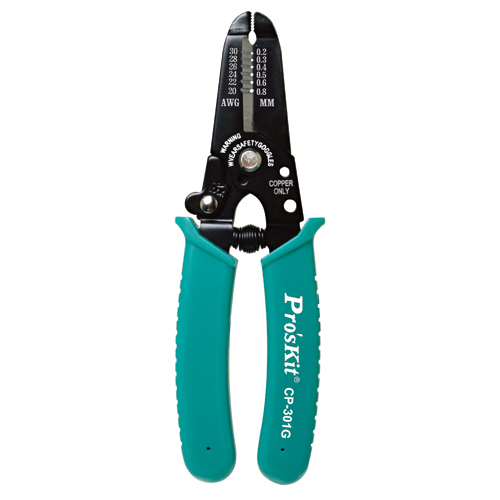 These tools should have spring-loaded handles and be small enough to easily work in tight places. Multimeter — A digital multimeter is very handy for testing circuit continuity, resistance and voltage. Some also measure capacitor values and temperatures (to see how hot your soldering iron gets). 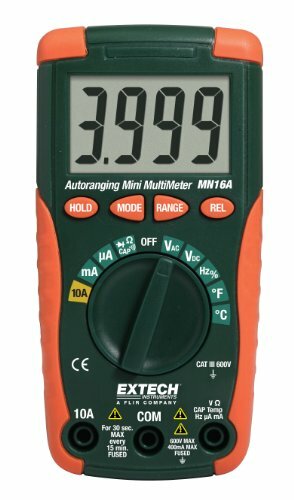 The multimeter I use cost around $40, but you can get a basic meter for much less. Eye Protection — You should always wear eye protection while soldering. 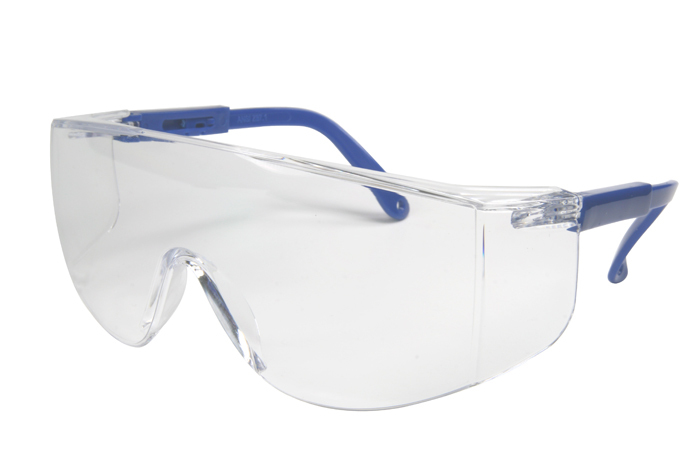 Safety glasses offer good protection and can be worn over eyeglasses. 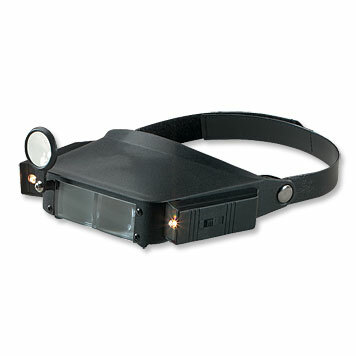 A magnifying visor (like the ones jewelers use) provides both protection and magnifies your soldering work. 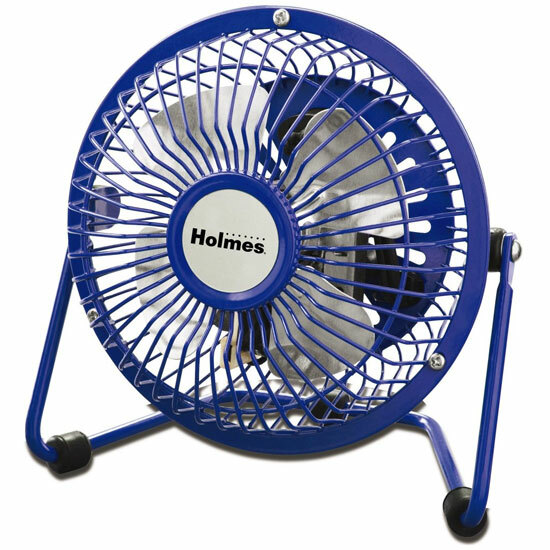 Ventilation — A small strategically placed fan can help keep soldering fumes away from your face. Rather than facing the front of fan towards your work area, place the back side of the fan as close to your soldering work as possible so it draws the fumes through the fan and blows them away from your work area. 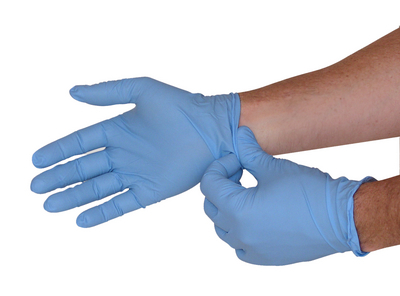 Other useful tools include jeweler/precision screwdrivers, hobby or utility knife, cleaning brushes or cotton swabs, and nitrile gloves to protect your hands from nasty chemicals. Now that you know about the science and tools of soldering, let's look at the art of soldering. This tutorial is divided into sections for preparation, the soldering process, and cleanup. There's a few things you need to do before you start soldering. Make sure your work area has sufficient lighting. Protect the work surface and guitar from being burned by hot solder or the soldering iron. You can tape pieces of corrugated cardboard on the guitar body and other areas you want to protect from nicks, scratches and burns. 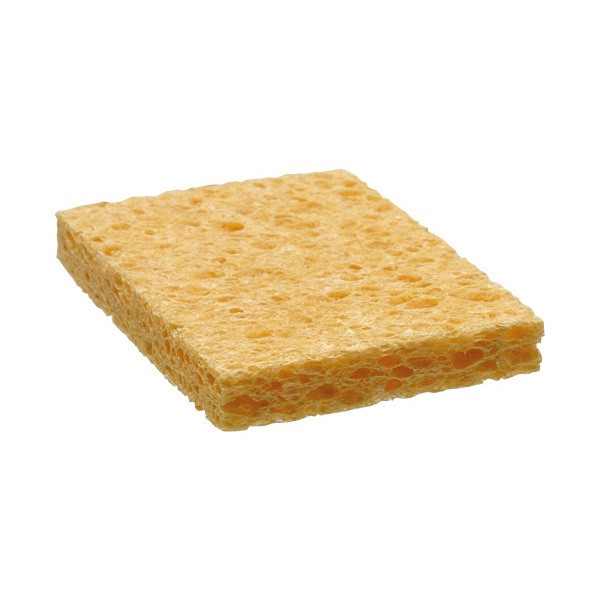 Turn on the soldering iron and while it's heating up, dampen the cleaning sponge if you use one. Make sure your solder, flux and any equipment and tools you'll need are readily available. Lastly, turn on the ventilation fan and put on your eye protection. Now your ready to solder! The most important thing you can do for the best soldering results is to keep the soldering iron tip clean and tinned. Tinning puts a shiny layer of solder on the tip, which helps transfer heat to the parts you're soldering. Wipe the tip on a damp sponge (or coiled brass) to remove contaminants and excess solder. Tin the tip by applying a bit of solder to it or dip the soldering iron tip in tip tinner/cleaner paste for a second or two. Clean off the excess with the sponge or brass cleaner. Before soldering parts together, they must be tinned to promote heat transfer between the soldering iron tip and the parts you want to join. Typically most components and wire are pre-tinned by the manufacturer. If you need to tin a wire or component, follow the soldering instructions below to apply a thin coat of solder to the contact points (wire end, solder lugs, component body) of each part before soldering them together. Mechanically connect the parts you will be soldering. Use a vise or clips to keep the parts from moving while soldering. Use heat sinks or alligator clips on component leads between the solder joint and component to protect them from heat damage. If you use additional flux, apply a small amount to the parts you are soldering where they will be joined. This step is optional if you're using flux-core solder. Hold the soldering iron tip (do not press hard) where the parts join for a second or two. To help with heat transfer, first apply a tiny bit of solder to the tip where it will touch the parts. Then slowly start applying solder to the side of the joint opposite from the soldering iron. When the solder starts to melt, feed it into the joint in a steady motion. The solder should flow towards the heat source (soldering iron). Use just enough solder to cover the joint. You don't want to end up with a big blob of solder. If you do, you'll need to remove some of it. Stop feeding the solder first, then quickly remove the soldering iron and return it to the holder. Let the solder cool and solidify on its own without disturbing the parts. Do not blow on the solder to cool it! If all went well, the solder joint should look smooth and somewhat shiny (below left). The solder should evenly cover the parts and firmly hold them together. If there's not enough solder, you have a "dry" solder joint (below center). If the solder looks rough, grainy, cracked, or really dull, you have a "cold" solder joint (below right). Note that some lead-free solder may look duller than lead solder. Heat the solder joint with the soldering iron to melt the solder. If fixing a dry solder joint, add a tiny bit of solder (but not too much). Remove the iron after the solder has liquefied for about a second or two. If the solder joint still looks bad, you'll need to desolder the joint and start over. Desoldering — Occasionally you may need to undo a solder joint or remove excessive solder. 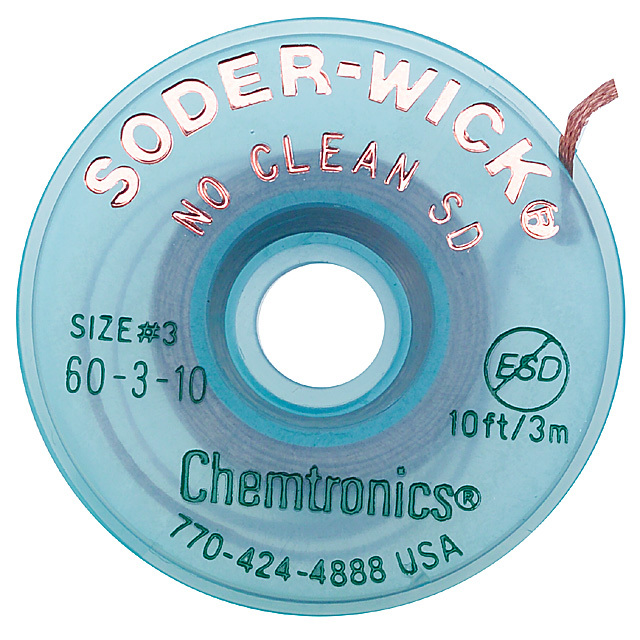 Use solder wick or a solder vacuum to undo a solder joint and remove solder from the parts. Place the end of the solder wick over the solder on the part. Place the soldering iron on top of the wick where it's covering the solder you want to remove. Heat the wick until it absorbs the solder from the part (this should only take a few seconds). Remove the soldering iron and wick in one motion and return the soldering iron to its holder. Cut off and discard the end of the wick with solder on it. If necessary, repeat this process until the solder has been removed. Depress the vacuum plunger to get it ready. Heat the solder joint with the soldering iron until the solder melts. 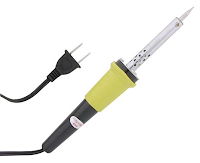 While holding the soldering iron on the joint, place the solder vacuum tip on the molten solder and push the release button to remove the solder. Remove the solder vacuum and return the soldering iron to its holder. Removing Flux — After the solder joints have cooled, carefully clean all flux residue off with isopropyl alcohol (99%) using cotton swabs or a short-bristled brush (an old toothbrush will do). Dry with a lint-free cloth or spray with canned air. If your flux or flux-core solder is the "no clean" type, you can skip this step. Testing — When you're finally done soldering and before turning off the soldering iron, don't forget to test your repairs/mods to make sure they work. You can use a multimeter to test continuity and make sure the components work correctly. 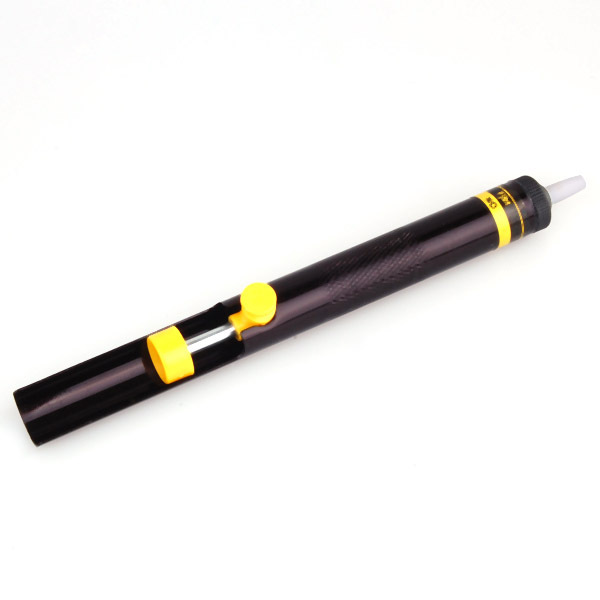 After you've finished soldering and testing your work, clean the soldering iron tip one more time. Then, melt a thick coat of fresh solder on the tip, replace the iron it its holder, turn it off and let it cool down. The solder coating will help prevent corrosion and extend the tip life. The healthiest thing you can do after soldering is washing your hands to remove any traces of solder and flux. Also, don't eat, drink, or get your fingers near your face while soldering, even if you wear gloves. The smoke produced during soldering is mostly burning flux. Some people are concerned the smoke may contain lead fumes, but lead doesn't vaporize at soldering temperatures. Still, it's not healthy to breathe solder fumes, so use a fan or face mask. Soldering, like playing guitar, gets better with practice. Try soldering with some old components and wires to improve your soldering skills. I hope this soldering tutorial was helpful. If you have any questions, please send them to me and I'll be glad to answer them.